We have a range of different exhibition and event display units available for hire from our smallest 4m trailer (A4) to a 13.4m articulated trailer for larger events. We also have motorised vehicles for self-drive hire if required. All exhibition trailer hire units can have graphics to make the trailer yours for the event duration and have a range of great features to support you at your event. 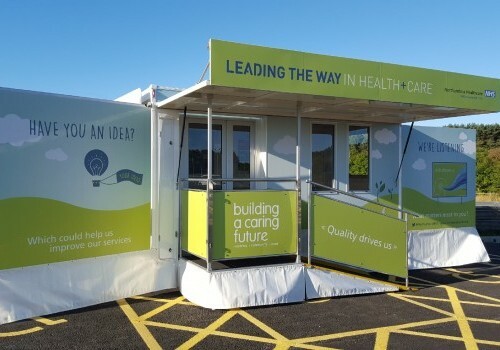 In addition to standard exhibition and event trailers we also hire motorised clinics which offer a portable unit for more specialist requirements, please get in touch with us to discuss your requirements for hire in this area. As part of our hire services, we can provide a full exhibition trailer hire and transport service to make your event or exhibition run as smoothly as possible. 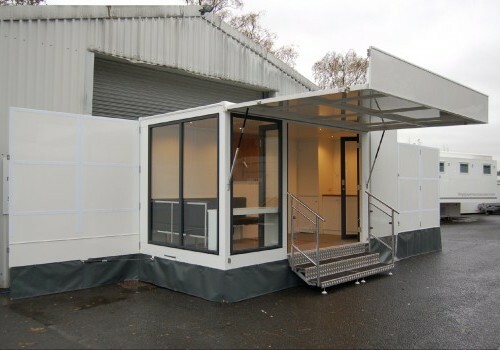 Depending on your hire needs, this can include delivering the exhibition trailer to your event, collection of the trailer at the end and more. So if you are looking for professional event trailer hire services get in touch with us today.